Asian Business School / Blog / Asian Business School / How to prepare for an MBA or PGDM? 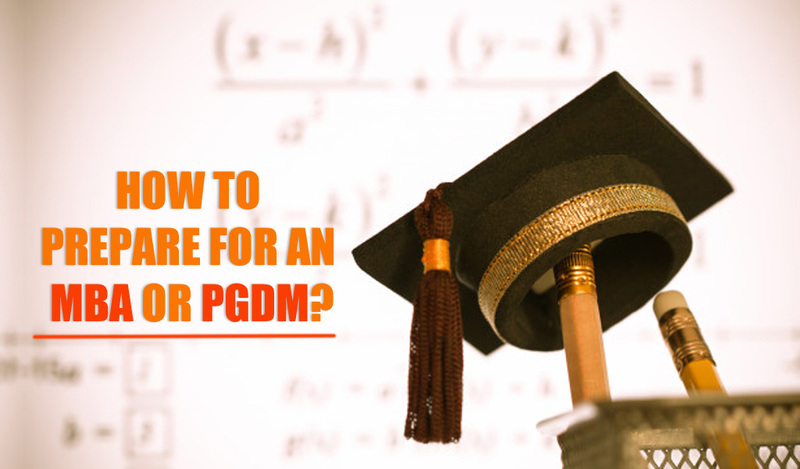 How to prepare for an MBA or PGDM? The MBA/PGDM is a highly demanding Masters programme. It is a significant investment of both money and time, preparing for and completing your MBA/PGDM Course. As demand increases and admissions become more competitive, preparation is vital – for your application and your coursework. PGDM/MBA applicants are driven by various factors, like career development, salary increase and self-fulfillment. A clear understanding of your motive behind pursuing this course will dictate what programme you take and at which business school. The format of your PGDM/MBA course (full, part-time or online) will also be defined by your reasons for taking the course. Answering the question of why you want to study an PGDM/MBA provides early guidance in selecting a business school and PGDM/MBA programme. If you’re looking for a PGDM/MBA course that focuses heavily on sustainability, for example, use PGDM/MBA rankings by specialisation (such as those of Financial Times) to research top business schools in that field. Investigate each prospective business school and PGDM/MBA programme. Then search for alumni on professional networks, such as LinkedIn, to gain insight into their career development and informal opinions of the school and programme. When applying for business schools, apply to several so as not to have all of your eggs in very few baskets. As a part of PGDM course application, one needs to submit resume and professional references. Any shortcomings therein could cost dream job. Ensure application is flawless by focusing strongly on the most recent and relevant work experience. Business Schools also pay specific attention to extracurricular activities. Networking capabilities are some of the most sought after skill an PGDM student must possess. Sharpen your networking skills in all the ways you can – make a conscious effort at both corporate and social events. Reading will aid in your knowledge of business, leadership and global markets. This makes one more valuable as a potential employee and PGDM applicant. Successfully enrolling and completing PGDM/MBA from the right B-school goes a long way in ensuring your professional success and overall job satisfaction as per your key strengths and aspirations. Therefore, it is imperative to invest enough time and effort in preparing for the course by finalizing a college and course in line with your personal objectives, career goals, strengths.